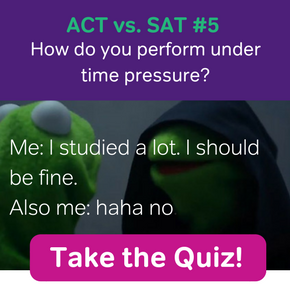 The new SAT has a brand new Essay section! The essay is now designed to allow you, the student, to show off those analysis and essay-crafting skills you’ve been building in English class. You will have 50 minutes to read a passage and then write an essay analyzing how the author makes his or her point. Two readers will grade your essay on a scale from 1-4 in each of three categories: Reading, Analysis, and Writing. 1. Did you understand/correctly interpret the passage? This seems like a no-brainer, but the passage that has been chosen for the Essay section has both explicit (obvious) and implicit (less-obvious) messages. The readers want to see that you have picked up on the implicit messages as well as the explicit and have incorporated them into your essay. For example, if the author reminisces about a time in his or her life when things were “better/nicer/cleaner”, the implicit message is that the current situation is worse than it was before and should be fixed, or at least changed to be more like it was. You’d want to point this out and perhaps explore if the author supports the need for change with evidence in the passage. 2. Did you fully understand the relationship between the main ideas and details? The prompt for the essay will spell out what the author is trying to say. Your job is to examine the evidence and language he or she uses to get that point across and decide how well those details support the main message of the passage. Some passages will have much stronger evidence than others, and how you analyze it plays more into your Analysis score, but whether you find that evidence or not affects your Reading score. The goal is to demonstrate that you fully comprehend the passage and its message. 3. Did you use textual evidence? Speaking of evidence, it needs to be built into your essay. The easiest way to do this is to directly quote selections from the passage.Paraphrasing is acceptable if you are discussing broader ideas, but make sure you are also including details. Using the author’s own words allows you to easily cite and analyze choices in syntax and diction. Remember, however, that you should choose your quotations carefully and with purpose. Don’t just throw some quotes in to “look good”. The readers will see right through that. Spend part of your planning time on each essay deciding what evidence to cite from the passage, and you won’t have to resort to desperately hunting for something, anything to quote. The Reading score is arguably the most important of the three on the essay. Without a full understanding of the passage’s message, it’s almost impossible for you to score highly on Analysis. It will also be difficult to write a coherent, organized essay, which affects the Writing score. 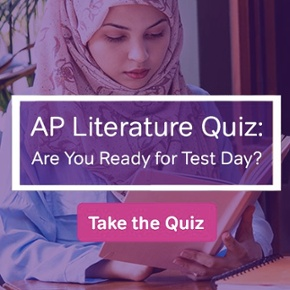 Luckily, most students practice analytical reading skills in English class, so you aren’t without resources. Ask an English teacher to give you some pointers on identifying the main idea and supporting details of a piece of writing or to look over any practice SAT essays you complete. With practice, you can become a master at spotting the important details that will help you get a four on the Reading part of the Essay test. This is the category that tends to stress students out the most. Analysis is really what the new Essay section is all about. Instead of asking for your opinion, the prompt tells you to analyze how an author makes his or her point in a piece of writing. This is not a personal essay. It should resemble an essay you would write for English class. You will be pointing out details in the passage, then providing commentary on how effective those details are at convincing the reader of the author’s main point. There are three major questions that the graders will answer to determine your score on the Analysis section. 1. Did you thoughtfully evaluate the author’s persuasiveness? This is the biggest part of Analysis. To score well here, you must address the author’s methods of persuading his or her audience. As you read, you should be annotating anything that might help you do this. A great way to start is to look for the use of logos, ethos, and pathos. If you need a refresher on what these rhetorical devices are, the Purdue Online Writing Lab has a detailed description of each of them and their strengths and weaknesses. You should also keep an eye out for word choices that the author has made to create a particular tone and affect the reader’s perception of the topic. 2. Does your essay include relevant evidence pulled from the passage? Stevenson uses statistics and facts to prove to the reader that most pigeons in New York City are overweight. Stevenson points to a study from 2014 that found “80% of pigeons examined in New York City qualified as being overweight”. These sentences are both pretty basic, but the second one does a much better job of proving that the writer is able to connect evidence from the passage to the author’s overall strategy. This evidence should then be followed by a couple of sentences providing commentary on whether this evidence is effective in proving the main point or whether it could be improved upon. 3. Does your essay focus on parts of the passage that help you answer the question? This is the caveat to the second question. To score well, you should reference plenty of evidence, but also make sure it’s focused on helping you make your point. Don’t just throw quotes in and hope it looks good. The graders will know the passage very well and will know what you should have picked up on. Planning your essay before you begin writing is essential to ensuring your essay stays focused and only uses evidence that backs up any claims you make about the author and his or her point. Analyzing a passage can be daunting, but if you dig out your English notes and refresh your knowledge of rhetorical devices and arguments, you’ll have all the tools you need. Just remember: find your evidence, cite your evidence, and then analyze your evidence. 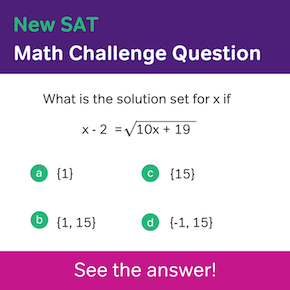 Following those steps will help you score well on all three big questions and master the Analysis part of the SAT essay. Writing is the part of the Essay score in which the nitty gritty details come to play. It is also the most likely to be harmed by rushing through the essay and not having time to proofread or check your work. To determine what Writing score your essay deserves, the graders will ask themselves three questions. 1. Is your essay cohesive and logically written? This question ties in with the Reading and Analysis scores in that it is based on how you put your thoughts together. The graders want to see that you have a clear central claim (thesis statement) that you maintain throughout your essay. A good way to set yourself up for success here is to make sure that every claim you make connects to your thesis. Never assume that your readers will make the connection on their own. The other half of this question addresses whether you have a well-written introduction and conclusion and whether your ideas flow logically and smoothly between them. 2. Does your essay display an appropriate style and tone? You should treat this essay the same way you would treat one you were planning to turn in to your English teacher. Pick your words carefully to reflect a formal style and to keep your tone as objective as possible. This is a great opportunity to show off your stellar vocabulary. However, don’t throw in words just to sound “fancy”, and just stick to ones you know well and feel comfortable using. Varying your sentence structure is also a great way to improve your writing style. Avoid using too many simple sentences (such as this one!). Instead, occasionally combine two or three clauses in a sentence to make your writing more interesting to read. 3. Does your essay demonstrate good grammar and mechanics? This part of the score depends on the nitty gritty details of your writing. The graders understand that you are under a time limit and they don’t expect absolute perfection. However, if any grammar or mechanics errors get in the way of their ability to understand your writing, they will mark you down. Make sure you’re comfortable with topics such as subject-verb agreement and punctuation rules. Chances are good you have already had plenty of practice writing cohesive, formal essays and using correct grammar. If any part of the Writing score makes you nervous, however, try practicing by editing some of your writing. Grab an old essay or journal entry and see how you could improve its flow, sentence structure, or grammar. 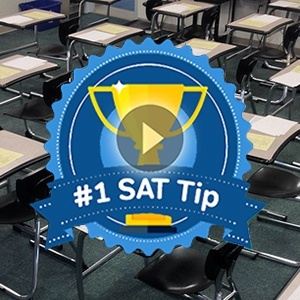 Knowing what kind of mistakes you tend to make can arm you against making them on the SAT.